Here at Kineara we’ve had an extremely busy, exciting and breakthrough year, which we wanted to share with all our friends who have helped us get to December 2018 with so many more things to look forward to in2019. 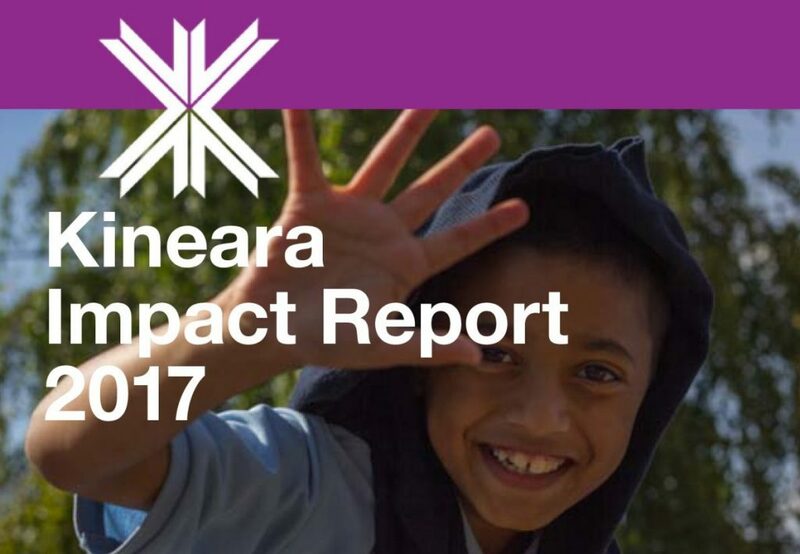 We started off with the publication of our new look website and our first Impact Report back in January, which collected all the outcomes of Kineara’s work in housing, education and employment since we started back in 2013. 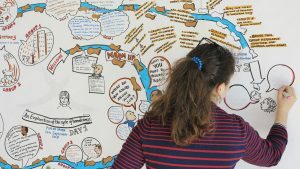 Soon after, Maria took Kineara to the Young Foundation’s excellent Reimagining Rent programme, a support programme for social business with big ideas on tackling vulnerability in the private rental sector. Needless to say, the programme brought us more than new knowledge – we’ve built friendships with innovators across the sector whose projects are really making a difference in tackling insecurity vulnerability and marginalisation in the housing sector, just when it is needed the most. In May, we launched a new housing support programme called Reframe with Southern Housing Group, to deliver mid-length intensive interventions with SHG residents whose tenancies have become insecure and require specialist key worker support. This project has kept us busy across London working with families with all kinds of complex mental health and support needs, and runs alongside our tailored employment support programme, also in SHG, which offers specialised employment support for those with complex needs. Soon after that, we welcomed two new members of the Kineara family to serve as our Board of Advisors, Radhika Bynon and Chuks Aguocha. We are lucky to have advisors with such vast experience, knowledge and commitment to social change for the most under-served communities. At the same time, we also rounded up our year-long Resident Voice project with Poplar Harca and Azuko, where we delivered research and insight on how best housing and rent teams could support their most vulnerable residents. In June, we moved into our wonderful new office in Bethnal Green, which has become our team hub and a place to gather, work and share –our team is made up of tenacious and independent workers whose work means they are often in many places across London in the week, so our office has become important to us being able to build for the future. It is a space we share with community groups and other employment support services, so we feel very at home. In the meantime, we’ve continued to deliver Motivate to Educate programmes in primary schools, and added ‘Our Space’ drop in sessions for teachers and staff to our school wraparound service. This concept came after our M2E practitioners, who had been running open, free drop in sessions for parents, noticed that members of the school staff were also in desperate need of spaces to share, get guidance, and find additional support. What our practitioners have been seeing in the schools they work in has been borne out in recent studies that have shown teacher wellbeing decreasing in recent years, as they struggle with stretched resources, low pay, and high housing costs. By the time July came around, we were ready to hire new staff to support our growing organisation; we’ve been lucky enough to find brilliant new practitioners, Sandra and Rujia, and fantastic new Communications support from Tamanna, who has been busy showcasing our work to the online world. Finally, in late September and after much grit and graft from our Director, we successfully secured an investment from Sumerian Partners to enable us to build our infrastructure, scale-up, take on new partnerships, and grow further. We are extremely thankful for the investment and offer of support from our new partners. Since then, we’ve also been putting foundations in place to take our flagship support, the Rent Support Programme (RSP), to the private sector. RSP Plus is an idea we had been incubating for some time and we’re looking forward to piloting the work in the New Year. We have been working hard on the planning of this project – watch this space! As we move into the new year, we want to thank everyone of our partners who have worked diligently with us to provide the best support; the families and children who have been brave enough to let us in and open their lives to us; and to all our supporters and friends who have helped us over the course of the year with advice, knowledge, and collaboration – you know who you are and we thank you!